Is the NuMe Love Wins Curling Wand Worth It? 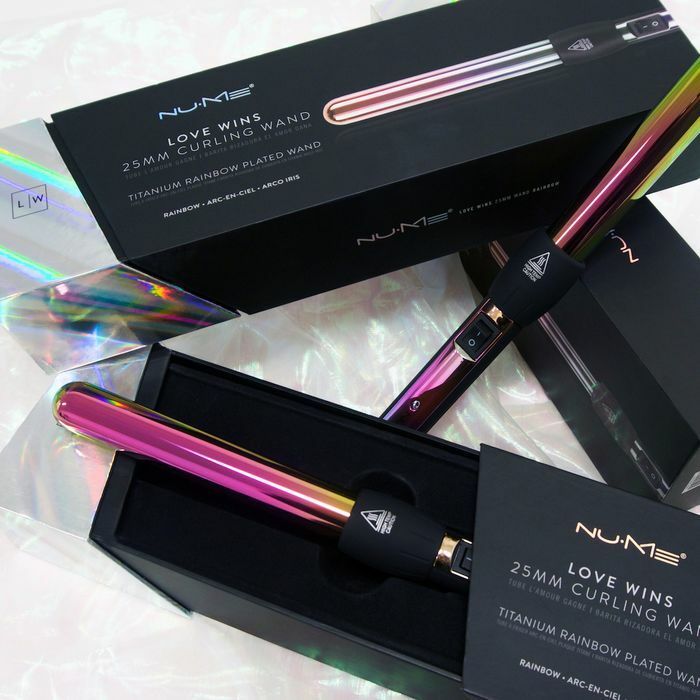 I was recently sent the new Love Wins Curling Wand from NuMe in a PR package. I haven't had much experience with curling wands, but everyone is always raving about them and I have been seeing them used a ton in facebook live and YouTube styling videos. ( my current guilty pleasure ) So I was excited to try this and see for myself what all the fuss is about. A few months ago I chopped my hair to just below shoulder length, to gain a style and a fresh start while I was preparing to begin a new job. I was looking for something easy to maintain, simple, and chic. While I loved my long hair I needed to get rid of a lot of dead ends and start a new. Being a solo parent hasn't always allowed for the time to focus on self care, so before this I honestly couldn't tell you the last time I had even a basic trim. As my hair is beginning to settle in and I am getting more used to the length, I am playing a lot more with different styles that are easy enough for even myself to do. Shorter cuts aren't as limited as I once thought. This curling wand has been incredible for adding some texture and edge without being damaging to my already delicate ends. The 25mm has been ideal for me, but if you have longer hair I would suggest the 32mm or if you want a tighter more glam looking curl the 19mm. This being my first time trying a curling wand I was so thankful the package included a free protective styling glove. I haven't yet but a burn or two I know for a fact is somewhere in my near future. Just comes with the territory of being more of a clutz versus a pro. 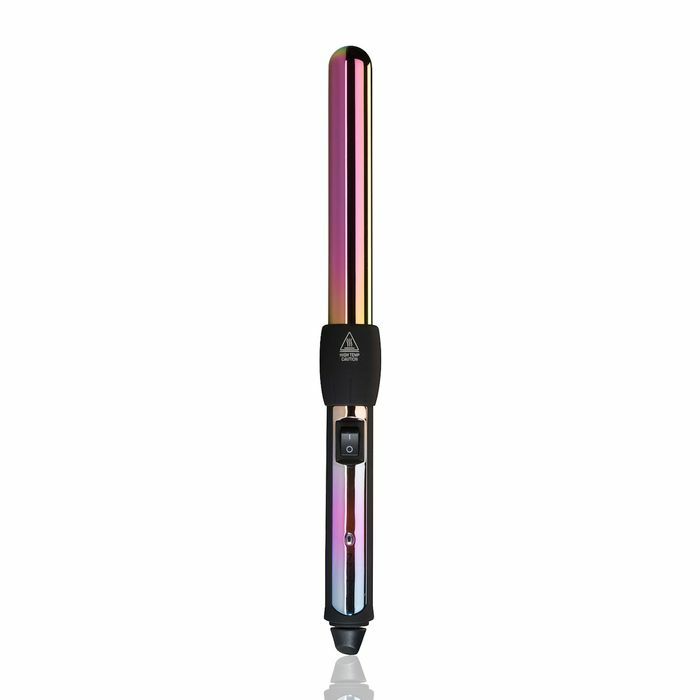 I was shocked when I opened the packaging to find this incredibly beautiful rainbow opal designed titanium styler. While everyone lately has been obsessing over marble and rose gold, I have stayed true to my classic favorites of opal and pearl. I have seriously never seen a more gorgeous pieces of hair styling equipment. Obviously it doesn't matter how beautiful something is if it doesn't work .. right!? 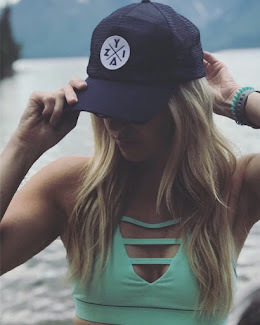 Well, I recently watched a video from Whitney Simmons on her current hair care routine and I was amazed that she said she only styles her hair about once a week. Come on now! No way her hair is always Hot Fire Flames! am I right!? After I tried my NuMe Love Wins Curling Wand for the first time my curls lasted days without even using a hairspray or anything other than a first step heat protectant. The curls were ideal for my length and even though I couldn't help but to keep touching them, they never lost their fabulousness. I am starting to get what all the fuss is over these curling wands. The Love Wins Curling Wand is designed with a 100 percent titanium barrel with far infrared heat technology and negative ions that evenly heat your hair and condition strands for ultimate shine after every use. Wrap small sections of hair around the barrel for three to five seconds. Catch the curl to cool and set, then release. Wear the heat-resistant styling glove for added protection. One of the most underrated aspects of this tool I have noticed after reading in other reviews, but one of my favorite from this curling wand versus any other styling tool I own, is how quick the tool heats up and cools down. Being a mom I don't have a lot of time to always get ready and with a little one never too far behind I am thankful for how quickly the wand cools after use. Seriously I could begin styling my hair in seconds and pack the tool away before I even finished tidying up my makeup! It is incredible how thoughtful and well designed NuMe products are. No doubt they are a top favorite among hair stylists for a reason. NuMe believes in their products so much they even come with a warranty. I don't think any of my cheap department store products ever trusted their designs enough to include a warranty. 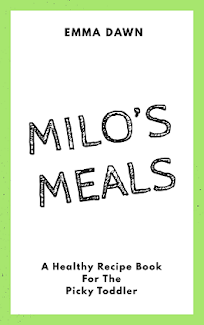 The quality is outstanding and if it's not up to NuMe's high standards it will be replaced. Proper care of tools will allow them to last for many years. If your tool does not function properly past the 90-Day Guarantee, you may replace your item under the one-year limited manufacturer's warranty. With the holidays just around the corner no doubt will this item be featured in my most popular annual Gift Guide posts coming soon! 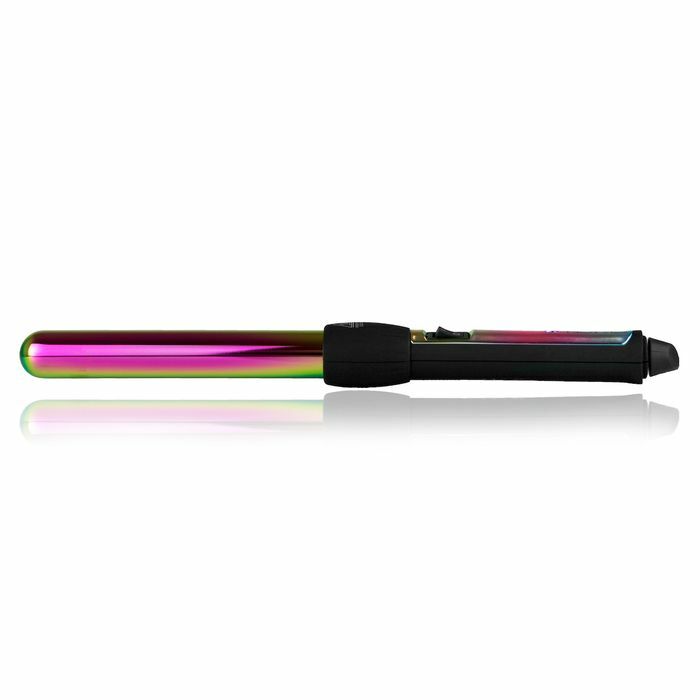 Currently retailing for under a hundred dollars this Love Wins Curling Wand makes for an ideal gift for any lady on your list.